Dr. Robin Sanders, the former U.S. Ambassador to Nigeria, for an intensive week-long visit. Ambassador Sanders conducted classes, seminars, workshops, and lectures and met with students and faculty members informally throughout the week to share her practical knowledge in the areas of foreign policy, human rights, and living in a global community. Wesminster College President Forsythe added that his students benefitted greatly from Sanders extensive experience as a global leaders and her indepth lectures on a range of national security issues. Click below to read Dr. Sanders public speech on the "New Global Landscape" given at the Westminster Historic Church of St. Mary. Since May 2010, I have suggested re-coining the term BRICs which, as we all know, focuses on the economic prowess and growth rates of Brazil, Russia, India, China and in Africa only South Africa. BRICA would be more inclusive of the success and influence of other African nations which are enjoying positive growth rates at 5% or more, larger than South Africa's 2012 estimated 3.5 per cent growth rate, projected to remain similar for 2013. Botswana, for example, has maintained a double digit growth rate for the last 10 years; Ghana is still projected to be the fastest growing economy in the region for 2013 at 8 per cent; Mozambique, Nigeria, Rwanda, Angola, Tanzania, and Zambia all enjoyed high single digit growth last year in the 5-7 per cent range, with projections to stay on course in 2013. Hence, the “A” in BRICA would represent these other high-GDP African countries and leave room for other Africa nations to be included in this new paradigm, or "new think" economic club. These nations will all progress forward, and build strategic alliances without the traditional "developed" world. This is a good thing, and "developed" nations, particularly the U.S., need to pay more attention. Economic alliances do breed political and strategic ones; thus, on future geo-political issues the U.S. could get left out in the cold on issues where the BRICS might align. In the U.S., we do not pay enough attention to long-term strategic planning; China on the other hand does, with new President Xi Jinping not missing a beat on his first foreign trip -- including not one, but three African stops. It would also seem that Russia and Brazil get the doctrine of building long term country friendships in Africa better than we do. 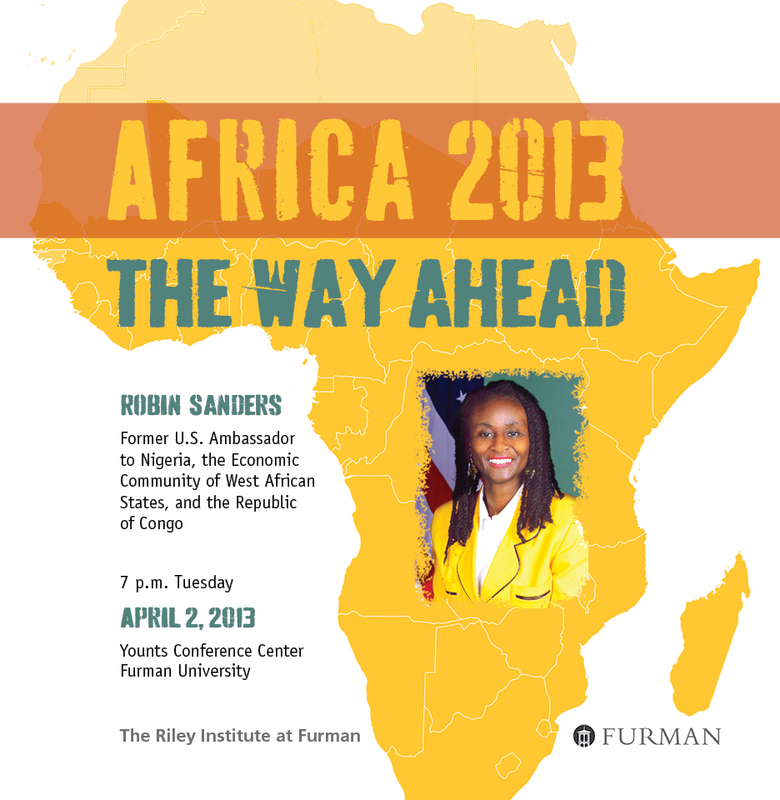 The U.S. is coming to the party late in building long term strategic economic relationships with Africa. We are doing better, but are not where we should be. The juxtaposition of having a group White House meeting for four African nations when the BRICS Summit was going on seemed a bit incongruous. The just concluded 5th BRICS Summit in Durban, South Africa, achieved its goal by further spotlighting the economic importance of the Africa region. Media and institutions from The Economist and Financial Times, to McKinsey have talked about Africa’s Rising economic leadership, especially when the rest of world is struggling - Europe's non-recovery and America's snail-paced one. But as we enter 2013, let’s recap the headline: 7 of the world’s 10 fastest growing economies are in Sub Saharan Africa (SSAfrica). ü $200 billion trade value amongst them. ü China and Brazil discuss a $30 million currency swap. On top of the BRICS-related news, the average 2012 collective growth rate for SSAfrica is hovering between 5.8-7 per cent with the The Economist and World Bank forecasting this to be the case for the Region for the next 20 years. Banks on the Continent are also improving their macroeconomic picture with many of them making the 2013 Best Emerging Market Bank list of Global Finance Magazine, as they have improved their asset growth, profitability, strategic relationships, customer service, competitive pricing, and innovative products. For the Region, Nigeria’s ECO Bank is being hailed as the winner for the upcoming 2013 awards event. 30% of the region has paved roads or working railways, a very low percentage given the Region's vast size. 9-10 of the Region's countries, I would put on the political concern list because of either insecurity or governance issues (Mali, Central Africa Republic, the two Sudans, Eastern DRC, Guinea Bissau, Somalia, Cote d'Ivoire, and parts of Northeastern Nigeria; Kenya's post-election uncertainity could add it to the list). This is by no means an exhaustive list, but it helps keep things in perspective for the challenges, we all hope the BRICS (or BRICA) resources will address. These are also the areas that need more focus and resources from the "developed world," if it wants to remain viable as the BRICS nation lean forward with their "new think" paradigm on how to do things and how to get things done.